When Should You Call the Emergency Dentist in Lynnfield, MA? You’re sitting there, dumbfounded, as you stare into your hands. Unfortunately, you’re looking at pieces of your teeth. You were eating popcorn while watching football and accidentally bit into an un-popped kernel which cracked one of your teeth. You look in the mirror to see how bad it is and you panic. What do you do in this situation? You can’t wait a week for this to get fixed. Dr. 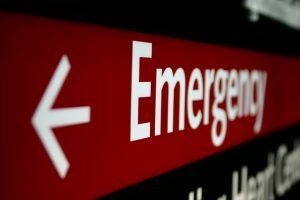 Rob Schumacher, your emergency dentist in Lynnfield, MA, lets you know just what to do in a dental emergency. Keep a knocked out or broken tooth moist, whether it means placing it back in your mouth or even in a container of milk. These will help preserve it until we can see you. If you have something caught between your teeth, don’t use anything sharp to try and get it out. A few ways you can try and prevent dental emergencies is to wear a mouthguard when playing sports and avoid chewing on hard things like ice or…popcorn kernels. Also, be sure to see us at Schumacher Dental regularly so we can catch anything that may cause you to have an emergency in the future. A dental emergency can be a very tense moment, and it’s best if you already have a plan of action. This will give you peace of mind and help you get relief quicker. If you want to know more about what you can do in a dental emergency, please give us a call today. We’re ready to be there in one of your most stressful times, and we know we can give you the type of care and attention you’ll need. Comments Off on When Should You Call the Emergency Dentist in Lynnfield, MA?